I am so excited for my friend and fellow plant-based passionista Julieanna Hever for the premiere of her brand new TV show, “What Would Julieanna Do?” on Veria network. 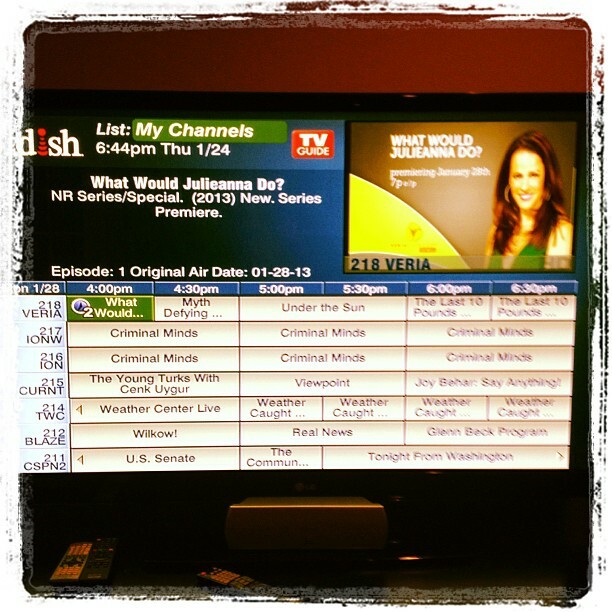 The first of 39 shows airs Monday, January 28, 2013. Actually, I’m excited for all of us! The more the media spreads the word about healthy plant-based living, the better it is for all of us. It’s all about the message and this is such a great opportunity for it to reach a whole new audience. Tune into Veria Living Network via DISH network, Verizon FIOS, or watch live on the mobile Veria App available. Click here to find out how to get Veria in your home or here to order the mobile app where you can watch live (free for the first 2 months and then $1.99/month after that)! Let’s get people eating plants and moving bodies!